Mongolia is twice the size of Texas, but home to only 2.6 million people. 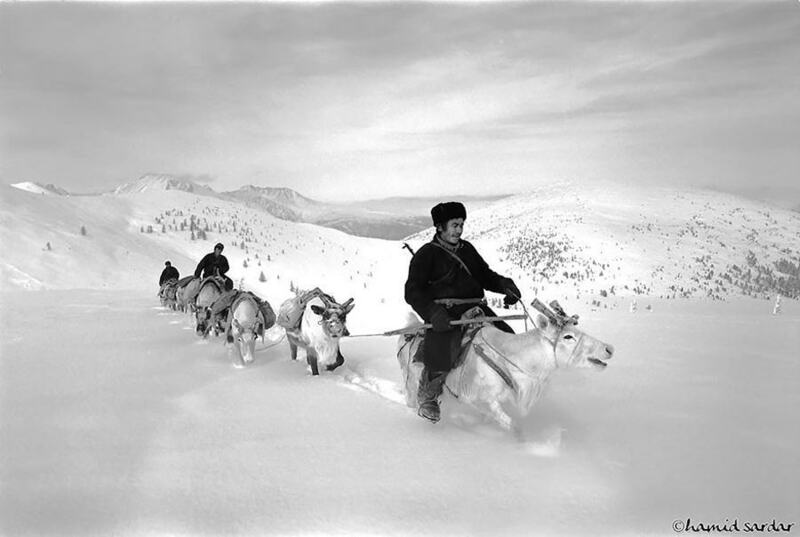 The sparse, desolate lands are difficult to live on and the frigid winters are harsh and overbearing, which is why the country’s Dukha people have relied heavily on reindeer in nearly every facet of their lives for thousands of years. 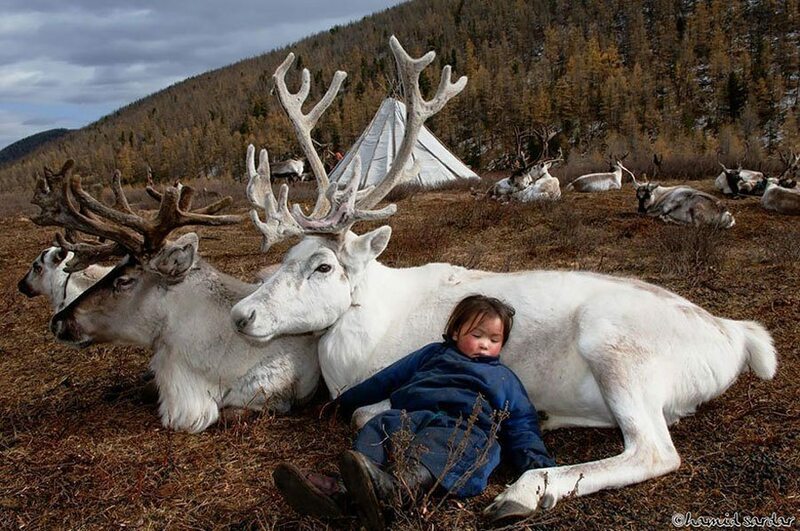 Living in northern Mongolia, the Dukha use the completely domesticated reindeer for primarily for transport, as the nomadic tribe changes camp locations between five and eight times per year. 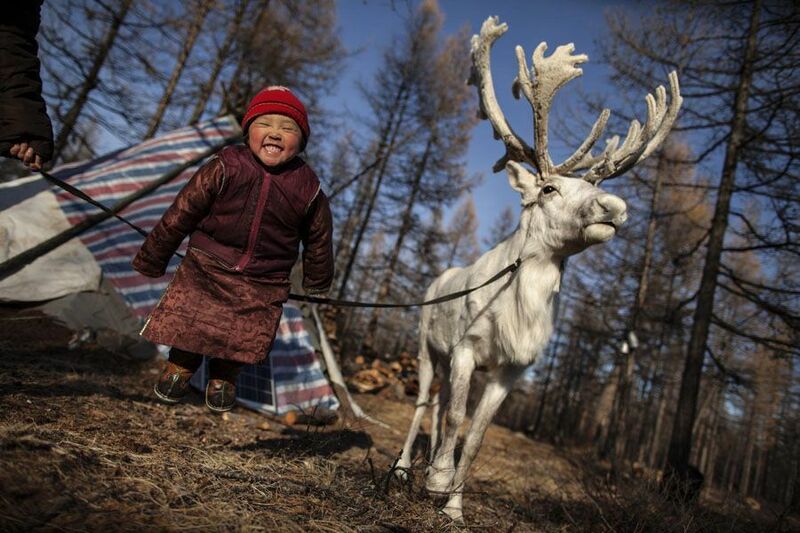 They also use the reindeer for clothing, tools and increasingly trade. Dukha sell reindeer antlers and penises to Chinese traders, who pay a high price for the incredibly rare items. The Dukha use the money to purchase items that they are unable to acquire out in the vast countryside, including electronics. 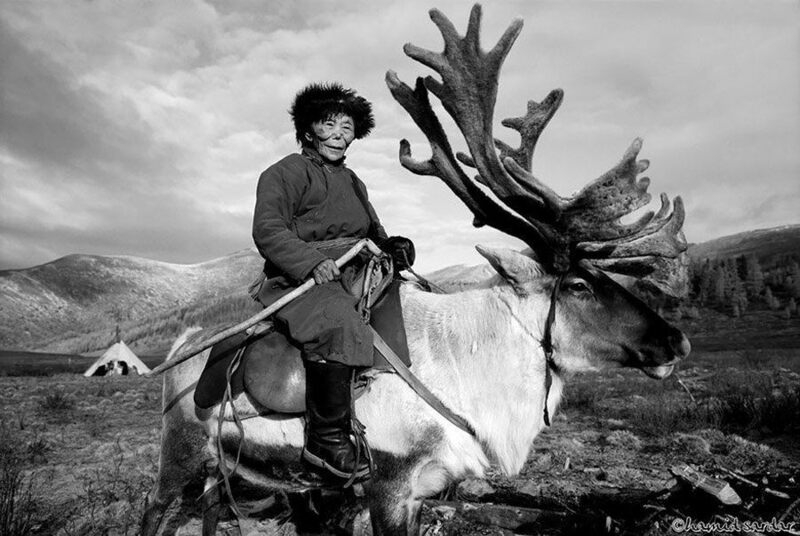 Given the fact that the Dukhas’ very survival is inextricably linked to the animals, it’s no wonder that they treat them with such reverence (which perhaps also explains why they refrain from eating the reindeer meat). 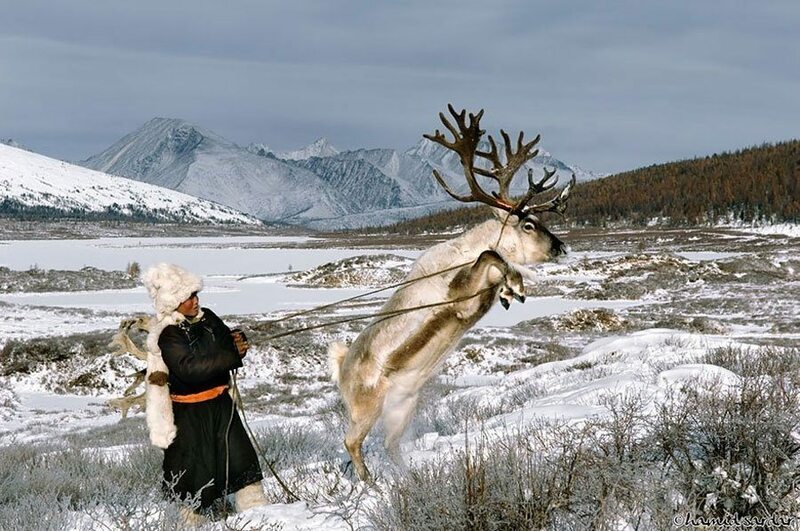 Their relationship is mutually beneficial: where the reindeer provide the Dukha with many basic needs, the Dukha provide the reindeer with protection from natural predators. Without each other, their continued existence is questionable. Winter temperatures in the tiga reach 60 degrees below zero Fahrenheit, making food scarce and conditions dangerous. A nomadic tribe and traveling caravan which uses teepees (known as ortz) for shelters, the Dukha are a strong and tenacious people with a heritage as long as it is rich. However, their lifestyles–and understanding of them–are in a state of transition. 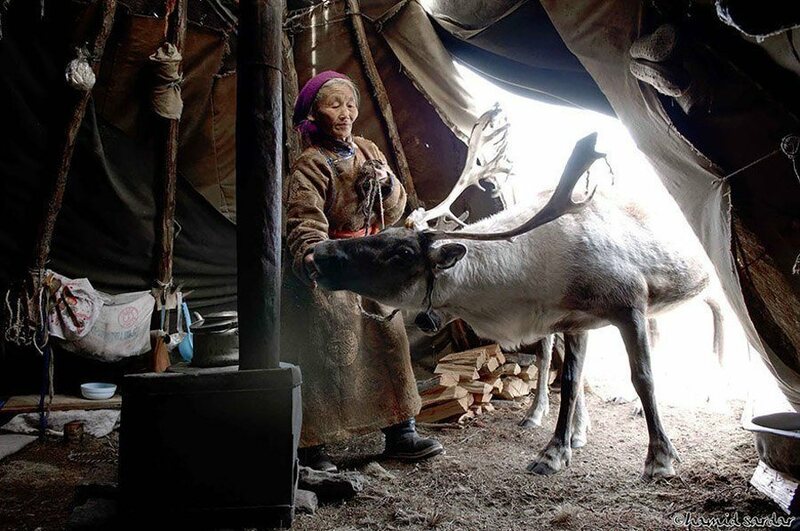 Regional forests and reindeer populations are diminishing, and since Mongolia’s democratization no governmental programs have been established to bring in any more reindeer from Siberia, which threatens the basic fabric of Dukha livelihoods. 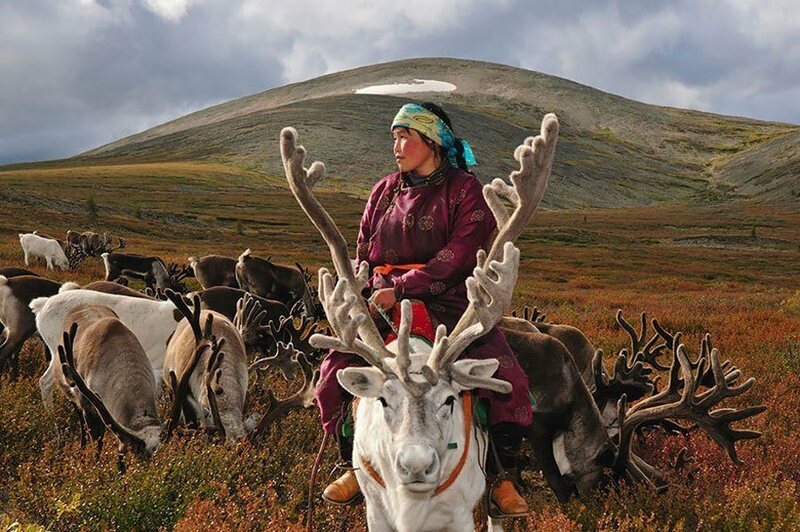 The Dukha have also started to use reindeer revenues (increasingly from tourism) to purchase solar panels, satellite antennas and cell phones, gradually abandoning their “traditional” devices for more modern sources of heat and entertainment. Increased mining activities are encroaching upon the areas the Dukha call home, leaving some–primarily elder members of the tribe–grasping for their nomadic identity as it is slowly vanishes amid an urbanizing Mongolia and nearby China.